Hemophilia is a disease which happens in a rare condition where the blood does not clot properly. It mostly affects men. People who have a deficiency of protein may have more chances to suffer hemophilia. It is also called a clotting factor, which works with platelets to stop bleeding at the site of an injury. During an injury, a person bleeds for a longer time, and also they are more susceptible to internal bleeding. This bleeding disorder can be fatal if it occurs within a vital organ such as a brain. World Hemophilia Day is celebrated on April 17 every year. It is an opportunity to help people with bleeding disorders to make them aware of how to live a healthier, longer and more productive lives. It is possible by educating and empowering them through knowledge sharing, information exchanges, education, and training. 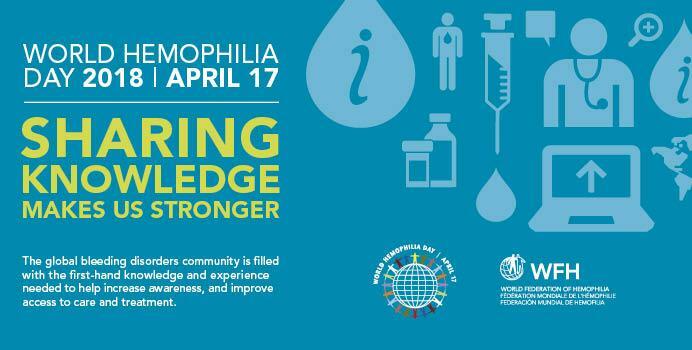 The theme for World Haemophilia Day 2018 is ‘Sharing Knowledge Makes Us Stronger’. Based on this theme, the global bleeding disorders community intends to focus on the importance of sharing knowledge and educate people about the healthy living. "World Hemophilia Day is a wonderful opportunity for our community to make its presence felt," explains Alain Weill, President of the WFH. "Our focus this year is on Sharing Knowledge because we are convinced that knowledge and education are key drivers in stronger support for patients in our community. The WFH has a long history of collecting data and sharing knowledge. The WFH World Bleeding Disorders Registry (WBDR) is an example of how data collection will be used to advance the understanding and care of people with hemophilia worldwide. An accessible patient registry strengthens our capacity to identify, diagnose, treat, and care for people living with hemophilia and other rare inherited bleeding disorders." According to the World Federation of Haemophilia (WFH), hemophilia is quite rare and is found in 1 in 10,000 people. The reports suggest that hemophilia affects approximately 400,000 people worldwide. According to the sources, it has been found that there are about 20,000 people living in the United States of America with hemophilia. As per the WFH, India has 17,000 hemophiliac patients, accounting for the second highest number of people suffering from the condition in the world. However, health experts say most of them are not fully aware of their condition or remain undetected and undiagnosed. Medical science revealed that the symptoms of this disease vary from person to person. It depends on the level of clotting factor deficiency, the symptoms can be mild or severe. If bleeding doesn't stop, or prolonged bleeding is the main symptom of this disease. The blood does not clot as it should. Hemophilia is a genetic disorder. A person is born with it. It happens because of a defect in one of the clotting factor genes on the X chromosome. It tends to occur mostly in males, since the gene can be passed from mother to son. 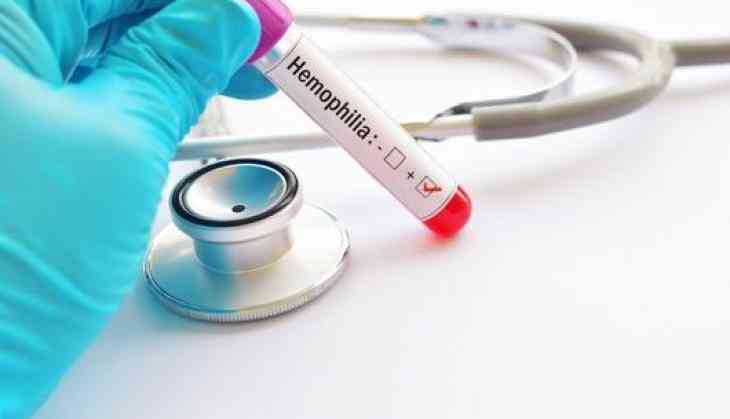 Medical history and blood tests are key to diagnosing hemophilia. Although, it is treated with replacement therapy. A physician will ask about the patient's family and personal medical history, to help to identify the cause.